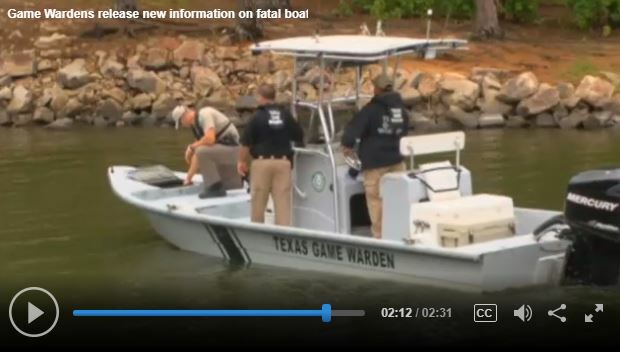 Texas Game Wardens are investigating a fatal boating accident that occurred Saturday afternoon on Lake O’ The Pines involving three East Texas teens on a Boy Scout outing. Preliminary investigations and observations indicate that the vessel, a Catamaran sailboat, collided with an overhead transmission power line and those onboard may have been electrocuted as a result. The three occupants of the vessel, ages 11, 16 and 18, were members of Boy Scout Troop 620 from Hallsville, Texas. All three were wearing personal flotation devices at the time of the accident. Game wardens arrived at the Alley Creek area of Lake O’ The Pines near Avinger, Texas, shortly before 2 p.m. Saturday to find a Hobiecat Catamaran on fire with the sails up about 300 yards north of the power lines. Wardens discovered an 18-year-old male on board and a 16-year-old in the water a short distance away. Both victims suffered severe bodily injuries and were deceased. A third unresponsive 11-year-old victim was located in a boat nearby and was being provided CPR by good Samaritans. He was transported to LSU Medical Center-Shreveport, LA. The accident is being investigated by the Texas Parks and Wildlife Department’s statewide boating accident reconstruction and mapping team. Victim identification is not being released at this time.